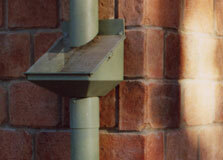 The Leaf Eater is the ultimate high performance rain head for use in heavy rainfall areas. 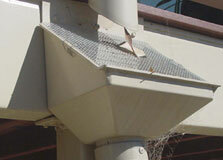 Leaves and debris are deflected by a primary screen that has a 6mm aperture and is set at an angle of approximately 45º. 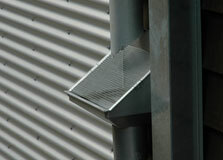 A secondary stainless steel screen of 1mm aperture further filters the water and prevents mosquitoes from entering the pipe system to the water tank.